It's all about me: Two more challenges down! Yay! I watched P.S. 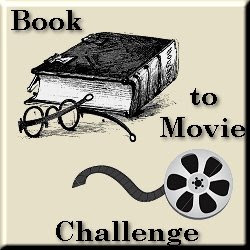 I Love You last night and with that finished the Lit Flicks and Book to Movie Challenges! All of these were made into movies, but of course I chose the real tear-jerkers to watch. One True Thing (1998) was interesting because it had a fantastic cast led by Meryl Streep, William Hurt and Renee Zellwegger. I thought that it was well-filmed, although watching it was even harder than reading this intense story. I watched P.S. I Love You (2007) last night and had mixed feelings. I definitely didn't like all the things they changed in the storyline - including moving the main action from Dublin to New York! They even changed some of the romantic storylines. And I didn't like the different ending. Having said that, there is a lot that can be shown on film that has much more impact than the written word, so some parts were stronger. The acting was fantastic, although some characters (like Daniel) were portrayed completely differently. All in all I liked it, but I think I would have liked it more if I hadn't read the book. 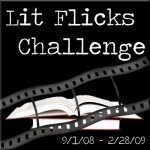 Joanna, congratulations on finishing the Lit Flicks Challenge!! You can check out the challenge wrap-up post here.